Sharing the wonders of the ocean! 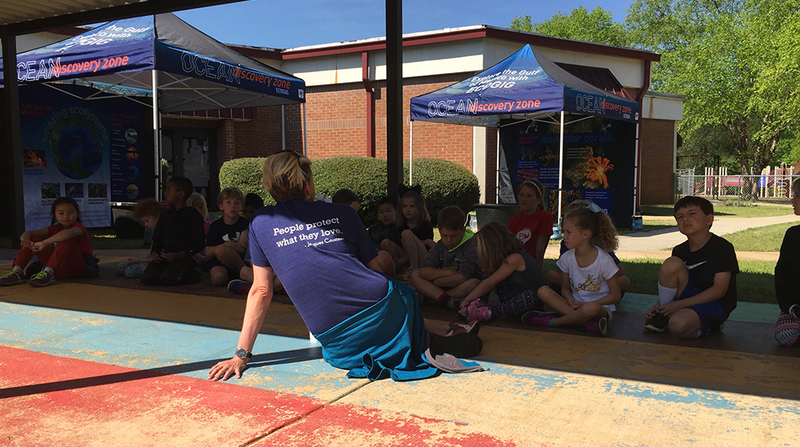 ECOGIG outreach staff visited Oconee Primary School in Watkinsville, GA for a second year in a row, to chat with K-2nd graders about the wonders of the deep sea! 350 teachers and students learned how scientists use ROVs (Remotely Operated Vehicles) to study the deep ocean, and why the ocean is important, no matter where you live. They also got to see photos of the cool things you might see with a ROV, as well as drive model versions of ROVs! Visit our facebook page for more photos from the day!